Smoke rings are one of the amusements that nature throws up, although it is not just smokers who produce such rings, dolphins use similar air-rings as toys (link). Indeed, ‘smoke rings’ crop up all around us. A smoke ring is an example of a curled up vortex, a “vortex ring” of smoke in air. These rings occur extremely frequently in nature (including in a coffee cup and an exploding star), whenever one gas (or liquid) pushes through another. To explore how and why they form though, we first need to return to an old piece of folklore. At some point in the mid-nineteenth century, Osborne Reynolds (1842-1912) heard an old sailor’s legend. 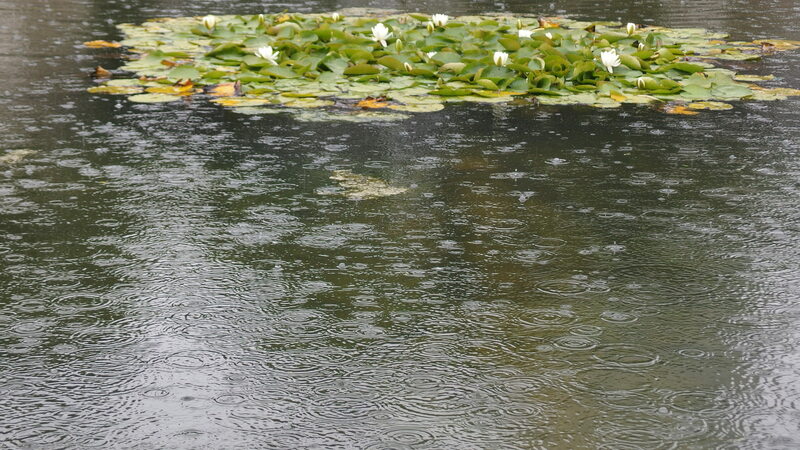 The tale told how a rain shower could calm the waves on water. Was there any truth in this? Reyolds built a piece of equipment that could find out. Adding drops of water to a water bath covered by a thin layer of dye, Reynolds observed the formation of vortex rings at the water surface which, once formed, fell vertically through the water. Reynolds suggested that when rain fell on choppy water, it was the formation of these vortex rings that took away some of the energy of the waves and carried it downwards thereby calming the water’s surface. The fact that the rings can be formed with both coffee and milk suggests that it is not a surface tension effect that is causing the ring formation. Indeed it is actually purely the fact that one fluid (milk or coffee in this case) is pushing through another (water). At the border between the two liquids a “surface of discontinuity” is formed meaning that there is friction between the two liquid layers. This means that as the jet of milk enters the water, it starts to “curl up”, forming a doughnut shaped closed vortex structure; the ‘smoke’, or ‘milk’ ring. At any point where a jet of fluid (which can be a gas as well as a liquid) pushes through another fluid, these vortex rings will form. The ‘smoke’ ring is therefore fairly ubiquitous. Examples can be seen above erupting volcanoes (seen here above Mount Etna in 2013) and of course in the aftermath of the explosions of stars. Unlike the case of volcanoes though, no photograph has yet been taken of a vortex ring in the immediate aftermath of a supernova. Instead, we know of these vortex rings in supernova explosions in two ways, neither of which is a direct observation. Firstly it is possible to calculate the dynamics of an exploding star mathematically. When this was done, the authors predicted that vortex rings quickly formed in the stellar material that was exploding out of the star. The second way that it was deduced that vortex rings were present in the aftermath of stellar explosions, was by modelling the exploding star in the lab. 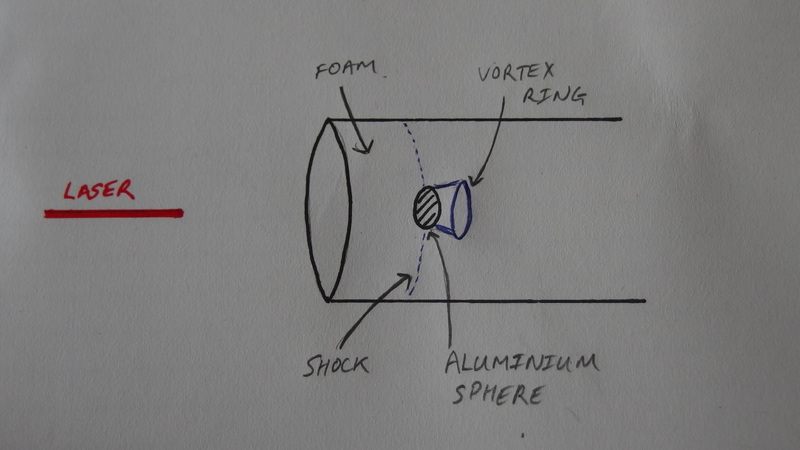 In this second study, a high powered laser was used to produce a shock wave in a foam tube (see the diagram below). The authors of the study were interested in knowing what happened to interstellar clouds that had the misfortune to be in the path of a shock wave emanating from the explosion of a nearby star. They modelled an interstellar cloud in their experiment by placing an aluminium sphere in the foam tube. A schematic (not to scale) of the experiment modelling the effect of the supernova shock on an interstellar cloud. As the shock passed the aluminium sphere, it ripped material off of it forming a vortex ring made up of the aluminium and the foam. As this curled back on itself, the vortex ring pulled more and more aluminium off of the sphere so the ring got larger (just as the milk ring initially does in the video as it hits the water and then starts to incorporate water within itself). Unfortunately for the model cloud things then got very bad. The same behaviour that we can see in the video of the milk rings (where they ‘cascade’ into many milk rings) happened to the vortex ring made up of the aluminium ‘cloud’. 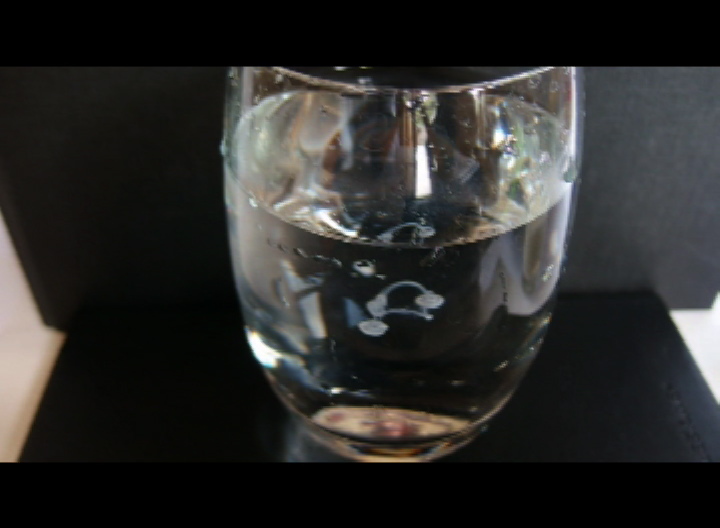 In the video, the initial milk ring grows until it develops four ‘corners’ which themselves form into milk rings. This splits the initial milk ring into four more rings (three large-ish rings and one very small one). What I have called a ‘milk ring cascade’ in the video is in fact a known instability in these vortex rings, called a Widnall instability. This exact form of instability occurred in the model star explosion. A four fingered Widnall instability developed in the vortex ring surrounding the aluminium ‘cloud’. This increased the turbulence around the model ‘cloud’ and so increased the rate at which matter was stripped from the cloud causing its ultimate dispersal. This experimental study therefore helped us to understand why interstellar clouds do not seem to exist as long as we would expect. Interstellar clouds were known to have a relatively short lifetime of a few million years only, though it was not known why they only lasted that long. This experimental study explained the relatively short lifetimes by appealing to the fact that when a star explodes nearby, the interstellar cloud is subject to severe turbulence. It was this turbulence that greatly increased the stripping of the matter from the cloud. Although it just so happened that the instability in the milk ring was the same as that found by the authors modelling a stellar explosion, a careful look at the video shows that the coffee ring was also unstable. Unlike the milk ring though, the coffee ring appeared to show many more secondary ‘coffee’ rings decaying off of the first. Why do you think this is? Why not do some experiments to investigate how ‘smoke’ rings decay in your coffee cup. 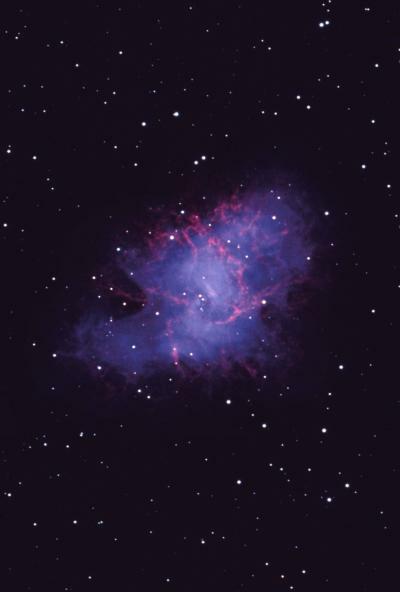 Image of the Crab Nebula courtesy of NOAO/AURA/NSF, see link here.